Fair price, prompt delivery, item exactly as described. I would order from you again. Ordered it one day it was delivered by US Mail the next day!!! Can't beat that for service!! When sending in an order, I missed an opportunity to get a shipping discount. I asked one of your reps about it, The rep was very helpful in explaining that the Internet sales system you use has some limitations that make it hard to add notes to make it clearer. It was also noted that if I ordered two of the cables, I would not be charged a fee for low amount sales, allowing me to get two cables for less than I would pay for one. Now that was a new one on me. I received my cables only 3 days after making the order. Wow, now that's Super service. And the price beat all the competition. I'm sure glad my friend turned me on to this company. Super excellent!!! Thank you PCH!! This is a must-have item for every USB compatible device and computer. 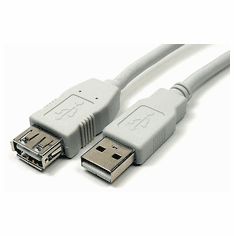 Plug one of these short cords into every USB port of your computer and wear out the $1.65 cable instead of the port on your computer when you frequently connect USB devices. It worked just the way I expected it to and it was shipped and delivered very quickly. It is a quality product at at great price that works just fine. The cables that I've used, so far, seem to perform as cables should. 6 inch USB extension cables. Use them for devices where there is not enough room between USB plugs (example: flash drives in a laptop or USB hubs with plugs that are in line next to each other on the same side of the hub) Very good. Would not hesitate to purchase again. ProsThey have not let me down yet. The p;rice. ConsHa ven't had them long enough for a five star rating. Prosjust the size I needed. I ordered on a Wednesday night, on Thursday I received an e-mail that my item had been shipped. The day after my order it was shipped was a postal holiday. The estimated time I was to expect my merchandise was six days after shipping but to my surprise I received my order in two days! Receiving my order in two days (with a holiday in the middle) from 1/2 way across the continent was very impressive to me. My merchandise arrived in perfect condition and was exactly what I wanted. I plan to make all my future purchases for items of this nature from PCH. ProsThe company stocks exactly what I want at a lower price than I can find from local retailers and their shipping costs are lower than other vendors. The cables were purchased to protect USB cards from damage when they are in our laptops and are working well. 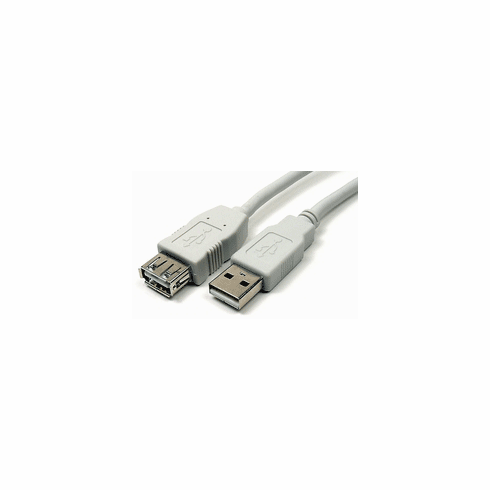 Our company uses the 6 inch USB 2.0 cables to protect security keys that we distribute with application software we sell. (The flex of the cables protect the keys from snapping off the side of laptops when they are nudged around) PCH provides large quantities of these cables to us in a timely manner and we have never had a problem with any of the cables they have sent to us, and that is thousands of cables. ProsThey work and are inexpensive. It's pretty hard to mess this product up. Seriously, it's a simple USB extension. While the cables were exactly what I needed, what really impressed me was the service. My order shipped right away and I had no problems. I was emailed an invoice right after placing my order. I ordered on a Thursday, my order was pulled, packed and shipped on Thursday and was in my hands across the country on Monday (I did NOT pay for any expedited service. This little extension is handy. I leave it permanently attached to the outlet on the side of my monitor for easily plugging in thumb drives. It is perfect for laptops so that you don't have to fumble around plugging in. Also it is safer especially if you use a wireless device that sticks out. Good product at a good price. I was tired of turning my iMac around to access the usb connection for my camera and iPod. Now with this cable I don't have to anymore (but I wish it was 8" instead of 6"...). PCH Cables shipped me exactly what they said they'd do and they did it fast! Great Price. Easy ordering and quick delivery. I purchased 2 of these extension cables. I'm using one of them on my iMac at work. Before I had that cable, and when I wanted to backup my files to a flash drive, I would have to insert that drive into the back of the iMac, which was not convenient. Now that I have the extension cable, I just plugged the cable into the back of the computer and I can just plug the flash drive into the dangling cable (which is easier). Thank you for this product! Purchased this cable because I was having difficulty connecting my thumb drive to a Panasonic Toughbook. For some reason Panasonic decided it would be good to make the opening to small and the connector to far recessed inside the Toughbook to be useful, so I purchased this short USB cable. It works like a champ, and the price was right also. Two local stores wanted $26.00 and their cables were to darn long, found this on internet, real happy with it so far. Products as advertised. I purchased a 6 inch and a one foot USB Type A Extension cable. Fast shipping. Products very at a very good price including shipping the best I found. Website was easy to shop and purchase. These are perfect for the Apple iMacs because the USB ports are on the rear of the computer (behind the screen) and makes it difficult to plug/unplug them. The 6" extention is perfect to make the USB accessable. They always work, and the price can't be beat. Nothing special about these cables - they just work. Using a laptop, I've had a number of mouse cables and usb devices go bad because of flexing near the connector or bending because the devices are a little too fat to fit nicely. These little cables are the solution - and if they fail where the cable meets the connector after a while, they're inexpensive to replace. I needed 2 and bought 4. I am very happy getting this product from PCH Cables, Inc. They are prompt and competitive. This cable was exactly what I was looking for. Found it here at a great price. Shipping was reasonable and fast. Wonderful! Just what I needed. A very simple item but if you use lot of flash drives like I do, they are indispensable. They were delivered on time. I've bookmarked PCH Cable's website! I am quite pleased with PCH cables and the service I have gotten. I order 500 6 inch USB extension cables once or twice a year. Not only do I get a great price, but I get them sent to me promptly.